. إن فندق نوفوتيل بيرث لانجلي حريص على توفير الراحة للنزلاء، فلا يوفر الموظفون جهداً في تقديم أفضل الخدمات وضمان حسن الاستقبال. يمكن للنزلاء الاستمتاع بالميزات التالية: خدمة الغرف على مدار الساعة, مكتب الاستقبال على مدار الساعة, مرافق مخصصة لذوي الاحتياجات الخاصة, تسجيل وصول/خروج سريع, تخزين الأمتعة أثناء إقامتهم في هذا المكان الرائع. تتضمن كل غرف النزلاء وسائل الراحة والتسلية المصممة خصيصاً لضمان الراحة القصوى للضيوف. يقدم الفندق العديد من الفرص للاستجمام كمثل حوض استحمام ساخن, مركز للياقة البدنية, ساونا, سبا. إن فندق نوفوتيل بيرث لانجلي هو خيار ذكي بالنسبة للمسافرين إلى برث، بما يوفره من إقامة هادئة ومرحة. It’s shocking to see that they don’t provide even one small bottle of water for free. Parking was a bit of a problem but apart from that everything was lovely. Thank you. Also the toilet needed servicing. I reported this to the desk. It squeals for a while after pressing the button and you have to press the button twice otherwise it keeps on running. I love that check-in time is slightly earlier than other hotels. Always a plus to be able to enjoy the room more. On top of that, we got a free late check-out! Super stoked. Check-in and out was fast and painless. Staff were all very chirpy and polite. Got free wifi in our rooms too after giving them our email address. We had breakfast both mornings and it had a good variety. And a barista to make you a nice cuppa. Food was pretty good. The room was huge and clean. Design may be slightly old fashioned but it doesn't affect us. Toilet was mostly clean except for a bit of mold stains. Foxtel available in rooms too. We called to get an extra pillow each. The staff who picked up the phone was very friendly and the pillows arrived within 5-mins with a smile! The gym was on the top floor and had the most stunning view of the river. It is equipped with standard machines enough for a workout. Up the stairs, there was 2 Jacuzzi and a sauna. Overall very happy with our stay. It was a great place to stay close to the function we were attending at the Perth Concert hall. The Hotel staff were very pleasant and unassuming and willing to assist. The Room on the sixth floor was spacious and comfortable. The Hotel was a good walk away from the New Elizabeth Quay - which is a terrific new attraction to the City of Perth Western Australia. 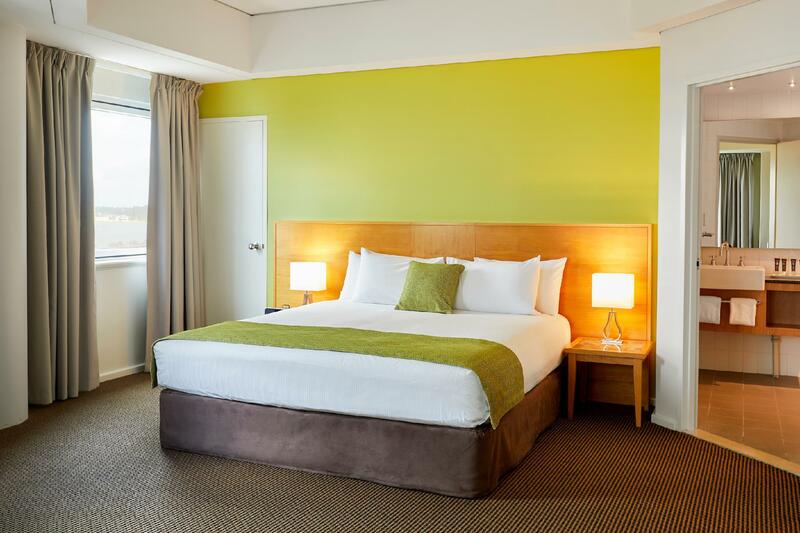 We spent a night at Novotel before travelling to Margaret River. It was more of a stop over but the overall experience was good. The location was easy to find and it is near the city center. 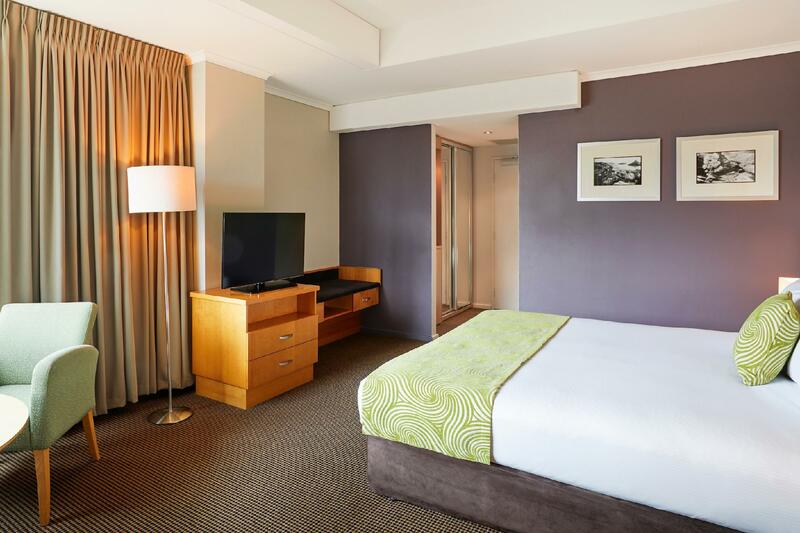 I would definitely recommend this hotel to anyone who is going to Perth. 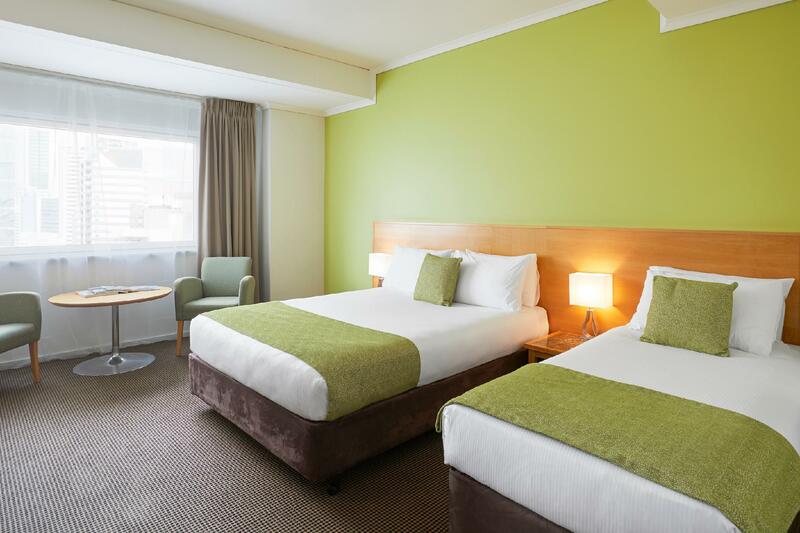 I would recommend this hotel to stay if you are traveling to Perth. 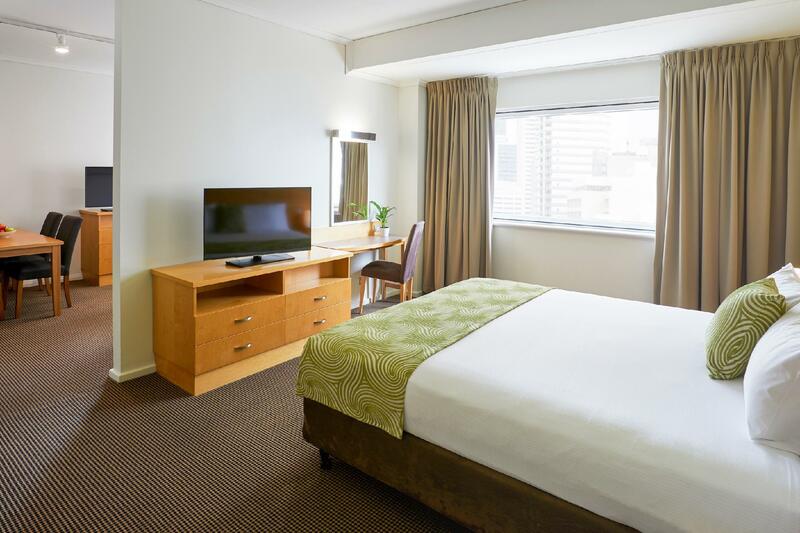 It is very convenient and it is about few minutes walk to Hay Street. There are a lot of restaurants nearby the hotel. 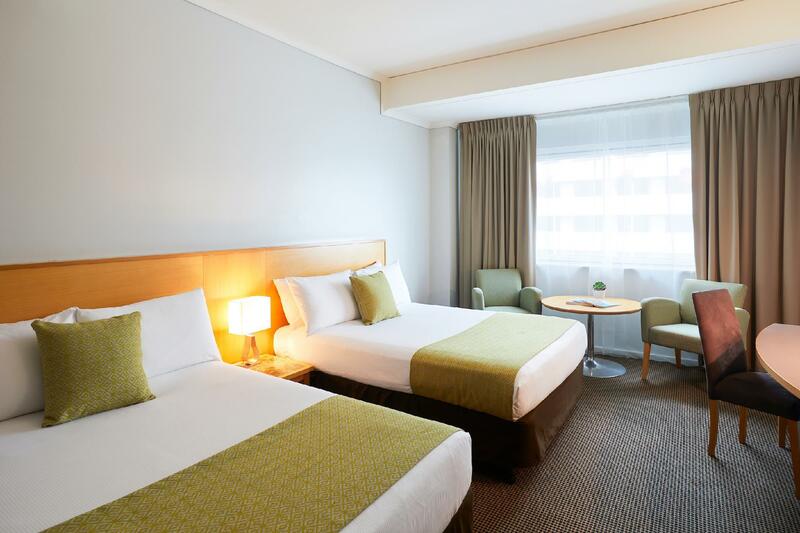 Besides, the room of this hotel is clean and it is very comfortable. The hotel staffs are attentive, friendly and helpful. The stay at the hotel was very pleasant. The staff are very courteous and helpful. It is a handy location and ideal function room for the workshop I was attending. Breakfast was very good with a wide variety of dishes to suit all tastes. My second stay in that hotel was pleasant. The ferry on Swan River, the bus terminal, the train station and Murray- and Hay-Street with endless possibilities for shopping can be reached easily by walking oder free shuttle buses. Prices for WiFi are horrible. WiFi is also limited in public areas. There is a Personal Computer in the lobby with internet access. Arrived at hotel and had been upgraded to a suite, bonus thank you! Lovely room, great location and really nice buffet breakfast. Wish they had a pool though. Spa's are nice on the roof top with a beautiful view of King's Park and the Swan River. Enjoyed a good spread for breakfast - Thought it was a pretty good deal as most 4star hotels in that range we paid did not come breakfast. Room had the usual amenities but toothbrush and bedroom slippers were not included. A nice 3-5min stroll to Swan River, offering some delightful views. I liked that I could easily walk to the jetty too, to catch various ferries for day trips. Staff were mostly pleasant and polite, tho I did encounter 2, in my 4-day stay, who were seemingly reluctant to serve. Great place to stay, was a little noisy as there must have been a band or music playing at a function within the hotel, but not a real problem, breakfast was a little pricy when you consider you can only eat so much, especially when your children only want a bowl of coco pops. Very nice food though. I booked this hotel through AGODA but I booked on wrong check-in date so I sent a message to the hotel but they did not a response even 3~4 times requested. Finally, I contact Agoda and fixed it under 10 minutes with thank you. The problem is the reception said my book cancelled when I check-in time even I show the confirmed hotel voucher. I standing waiting 30 minutes to check-in & the manager said: "I will book for you...." So, I asked them what's this confirmation VOUCHER, why do I need to book at the reception? Was so tired and they never say sorry or they still don't know their bad management. Unbelievable, they gave the room at 1st floor, I can see the kitchen or car parking very dirty roof....there are broken chair, tables....etc., I thought the free wi-fi...but requested $10 for 24 hours. I hired the rent a car & have to park at the hotel...of course they extra charge per 24 hours but I can't belive it's a 4 stars hotel car parking entrance...around 8~9 huge big rubbish bins. We arrived at 9am hopeing to leave our bags before the 2pm check in time, but we were informed that we could check-in right away. For us this was so good after our 10 hour flight. Following that I noticed that the staff were always very polite, accommodating and friendly. The room itself was fairly large, clean and we'll maintained. The location duited us well, being close to the water and walking distance of the shops and malls. Part of the hotel is an Irish pub (always good) and across the street is a coffee shop and convience store. 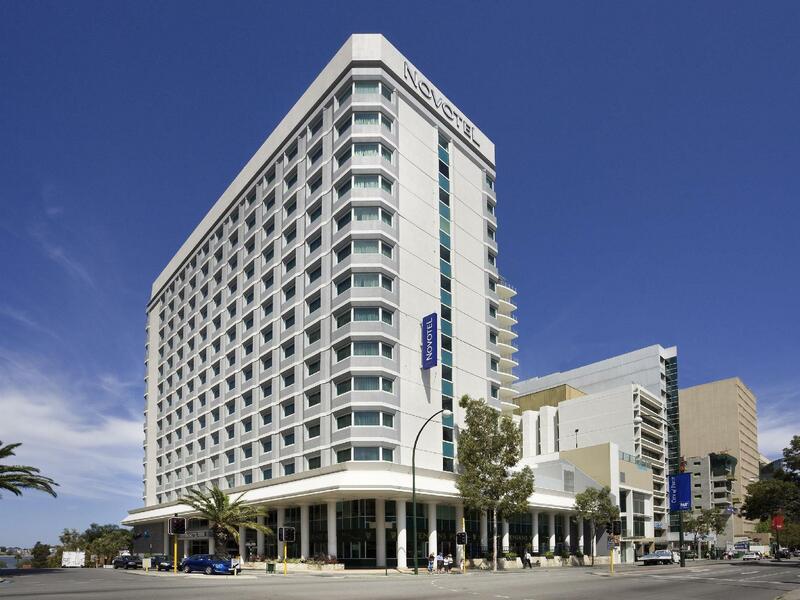 Highly recommend this hotel when staying in Perth. Besides needing a revamp, house keeping was disappointing. No consumables replaced, rubbish left on the bench just not what you would expect from Accor. Stay there for 2 nights. Not too bad. Just a little distance away from CBD. Staff was helpful at the reception. However, our calls to housekeeping went unanswered on a number of occasions. Disappointed. 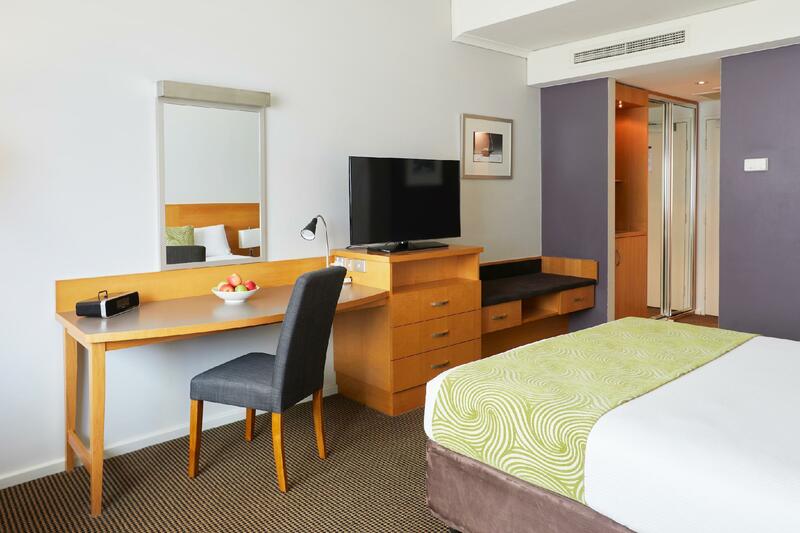 Accor members have big privileges. Thumbs up. Great location of an old Villa, being redecorated. Stunning view of sunset towards coastal city of Pelabuhan Ratu. Had a nice stay with my family. It has what we need in a hotel, comfy bed, restaurant, cool bar, central location. Children friendly. My nephews had a blast for having spa instead of pool on his birthday. I stayed here by recommendation. Rooms great, meals excellent, and location was good. I was not informed of the car park charge of $25 per day when I booked on the web and only found out once I arrived which was too late.